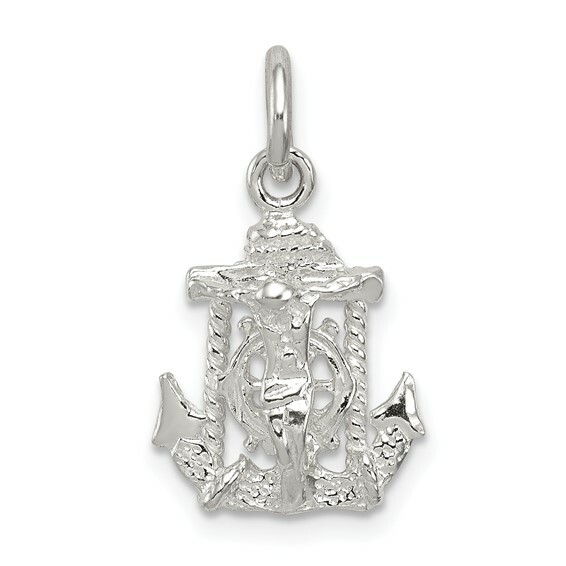 This tiny mariner's cross charm is made of polished sterling silver. 1/2 inch tall by 7/16 inch wide without bail. Weight: 1 gram. Shaped like an anchor, the mariner's cross reminds us that Christ is our anchor, our hope.